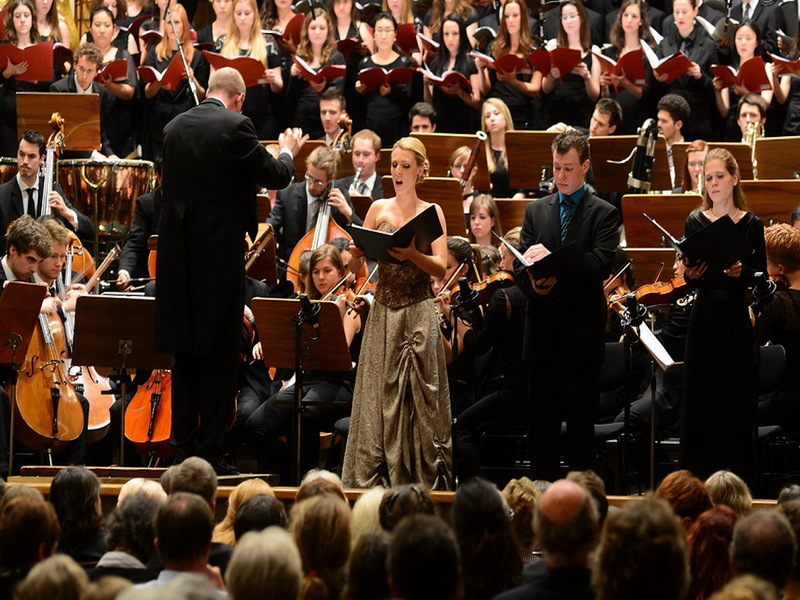 Serbian Soprano Jelena Widmann graduated at the University of Arts in Graz with her Master of Music in Voice and Concert Singing (Lied and Oratorio) under the tutelage of Professor Martin Klietmann, Professor Joseph Breinl and Professor Robert Heimann. She attended several Masterclasses with Vladimir Chernov, Angelika Kirchschlager, Marjana Lipovšek, Dagmar Livorová und Aulikki Eerola, among others. She received a scholarship of the „American Institute of Musical Studies Graz“ and won a prize at the International Singing Competition „Kammeroper Schloß Rheinsberg“. Stage appearances during her studies in Graz were Scolatella II in Henze's IL RE CERVO, Papagena in Mozart's DIE ZAUBERFLÖTE, Füchslein Schlaukopf in Janáček's DAS SCHLAUE FÜCHSLEIN, Lauretta in Puccini's GIANNI SCHICCHI, Dafne in Fux' DAFNE IN LAURO and Corilla in Donizetti's VIVA LA MAMMA. Further appearances included Adele in Strauss' “Die Fledermaus” and Hortense in “Der Opernball” (R. Heuberger) during a tour all around Germany, Switzerland and Austria. At the first Children's Opera Fesitval in Essen/Germany, she appeared in a revised version of Verdi's NABUCCO. At the International Opera Festival Kammeroper Schloß Rheinsberg she sang the role of Elisabeth in Nestroy's TANNHÄUSER. 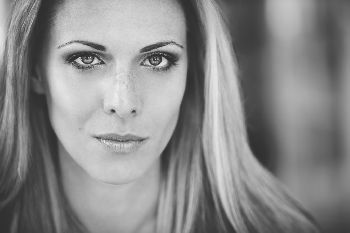 Jelena Widmann appeared many times as a Concert Singer in Austria, Germany and Hungary. She sang the solo-parts in: Orff's CARMINA BURANA in the „Wiener Musikverein“, Mahler's 4th SYMPHONIE and REQUIEM by Frank Martin in the „Musikverein für Steiermark“, STABAT MATER of Haydn, at the New Years Concerts of the „Niederösterreichischen Tonkünstlerorchesters“ with conductor Alfred Eschwé. Furthermore, she appeared in many concerts singing masses, cantatas and oratorios (at Bach's ST JOHN'S PASSION, MAGNIFICAT and CHRISTMAS ORATORIO, Händel's MESSIAH and Mozart's REQUIEM). Moreover, she was invited to appear as a Soloist at the Wiener Musikverein in Schumann's REQUIEM FOR MIGNON und Strawinsky's LES NOCES with conductor Cornelius Meister and the Radiosymphonieorchester of the ORF (Austrian Public Broadcast). "Auf Flügeln des Gesanges" - Lieder, Duette und Arien von Schubert, Schumann u.v.a. (…) Und anhand Robert Kahns „Jungbrunnen“-Liedern (nach Texten Paul Heyses) zeigte die serbische Sopranistin Jelena Radojčić(…), dass sie das romantische Lied in all seinen Facetten wunderbar verinnerlicht hat. (…) Die serbische Sopranistin Jelena Radojčić malte die „himmlischen Freuden“ im Finale mit vibratoarmen Wohllaut. Robert Kahn "Sieben Lieder aus dem Zyklus „Jungbrunnen“ von Paul Heyse"